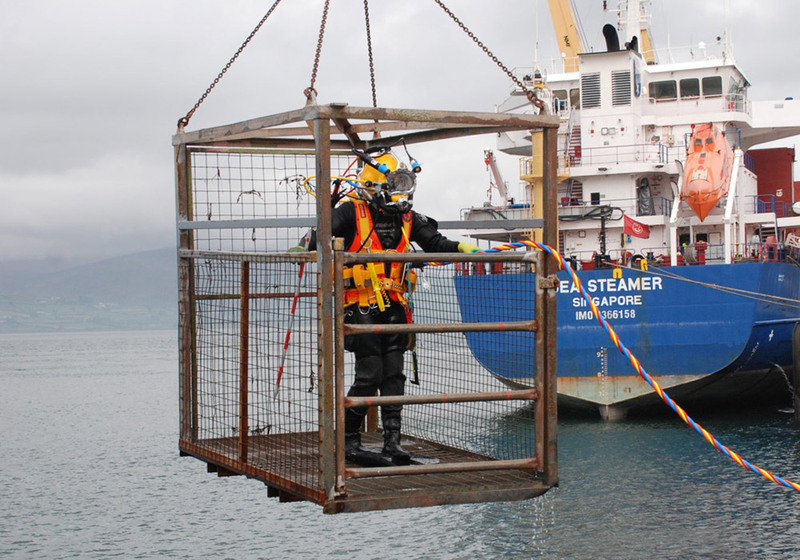 Dive and Marine Contractors were contracted by RPS on behalf of Greenore Port Authority to carry out a detailed underwater inspection. Following the inspection findings, prioritisation was given for concrete repairs to be undertaken to underwater voids along the quay wall at Berth 2. Upon works commencing, substantial submerged debris was located and removed from the area. High Pressure cleaning was carried out along the Quay wall to remove substantial Marine Growth. Excavations were also required along the Channel bottom/ Quay Wall interface by means of airlifting equipment operated by our dive team. Once the preparatory work was completed, a post repair works inspection was carried out for a suitable shutter design to be fabricated. This resulted in Dive and Marine Contractors to execute sub-sea temporary works to be installed to carry out the necessary concrete repairs to the areas prioritised following our inspection.